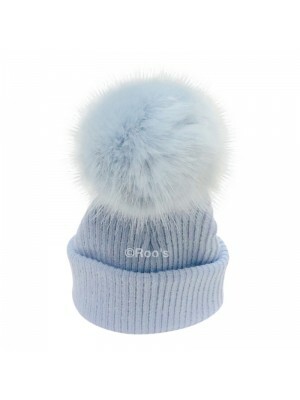 Luxury Faux fur Pom Pom hats. 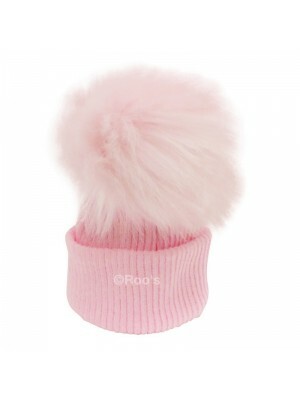 Baby sizes up to adult available. 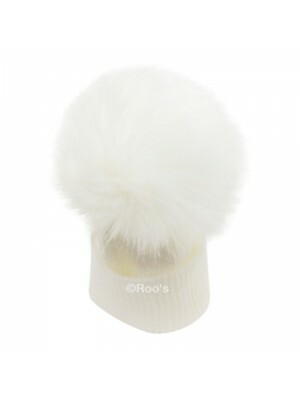 Baby white luxury faux fur Pom Pom hat. 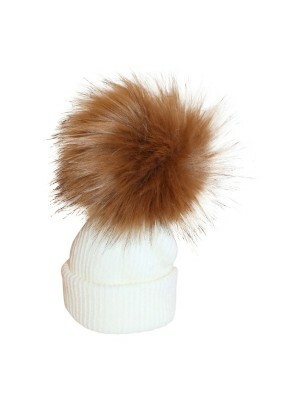 Chunky knit, ribbed hat with a large, faux fur Pom Pom and turn up. 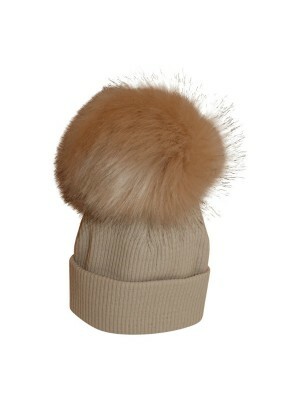 These are beautiful item, truly luxurious without the need to wear real fur. 0-3 and 3-6 months available. Produced in Englan..